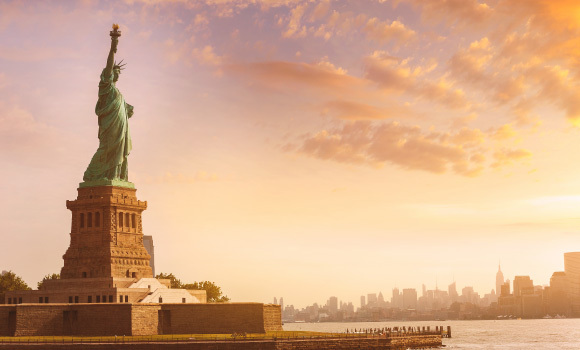 Illumination Tour, Visit Statue of Liberty, Visit One World Observatory. Proceed for a Guided Orientation Tour - Visit Wall Street, New York Stock Exchange, Ground Zero, Brooklyn Bridge, Broadway, Times Square & United Nations Building. Maid of the Mist Boat Ride, Night View of Niagara Falls. Washington D.C. :National Air and Space Museum, Guided Sightseeing Tour – Capitol Hill, White House,Washington Monument, World War II Memorial, Lincoln Memorial, Jefferson Memorial. 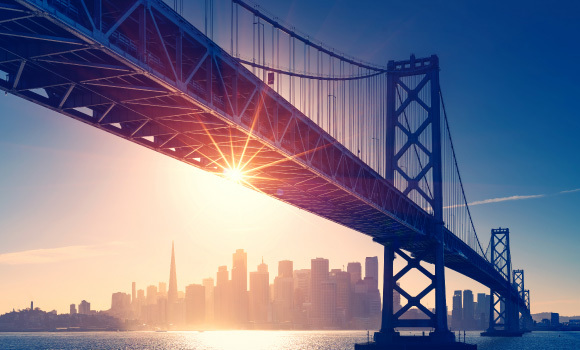 Guided Sightseeing Tour – LLombard Street, Civic Centre, Twin Peaks, Golden Gate Bridge, Ghirardelli Square, Fisherman’s Wharf – Pier 39, Union Square. GuidedLosAngelesSightseeing: Tour – Beverly Hills, Sunset Boulevard, Mann’s Chinese Theatre, Rodeo Drive, Hollywood Sign, Visit Universal Studios. Note: Hotels / Itinerary / Route subject to change without notice. Optional Tours are subject to a minimum participation of 10 Full Paying Adults. Optional Prices are subject to change. Reservations and payment for optional tours will be governed by the Terms and Conditions of the offers as selected by you. Welcome to your “ American Masterpiece ” tour! On arrival into New York, transfer to the hotel and check in. spectacularly lit landmarks of New York - it’s magnificent!! Spend some free time at Times Square. Overnight at New York. Start your day with a guided visit to the Statue of Liberty, at Liberty Island. Later, enjoy a guided orientation tour of the ‘city that never sleeps’, driving past some of New York’s iconic landmarks like Wall Street, the New York Stock Exchange, World Trade Centresite (Ground Zero), Brooklyn Bridge, Broadway, United Nations Building. Visit the One World Observatory. Enjoy spectacular views and breathtaking vistas that stretch for miles in every direction. Transfer to your hotel . view of the spectacularly lit Niagara Falls awaits you. This morning, discover the beauty of the legendary whirlpool and rapids as you cruise past the base of the falls on the Maid of the Mist. NOTE: (Due to weather conditions, the Maid of the Mist operates from the last week of May. The View Mobile Tram ride will be provided instead to all tours arriving Niagara Falls prior to the last week of May). Later you drive to Washington, D.C. - the capital of the USA and make an en-route stop at the world famous Hershey’s Chocolate World for a Chocolate Tour. The tour begins in a tropical rainforest, where cocoa beans grow and are harvested. Then, follow their journey across the ocean to America and their delivery to Hershey, Pennsylvania. The cocoa beans continue through a simulated HERSHEY’S chocolate factory, where you’ll see, feel, smell and hear the delicious transformation from bean to milk chocolate. Later continue your journey to Washington, D.C. .
Overnight at Washington, D.C .
Washington D.C. is a sightseeing treasure-trove. Start your day by visiting the National Air and Space Museum at the Smithsonian Institution, the world’s largest museum complex. Later, proceed on a half-day guided sightseeing tour. Your first stop will be Capitol Hill (photostop). Then drive on, through Pennsylvania Avenue, to Lafayette Park for a view of the White House (photo stop). Make stops at the Washington Monument, the World War II Memorial – a tribute to the spirit, sacrifice and commitment of the American people, the Lincoln Memorial and Jefferson Memorial. On arrival, transfer to the hotel , Overnight at Orlando.